Have you ever spent the entire day working only to feel like you didn’t get enough done, could’ve got more done, or should’ve been able to do all the work you did in less time?! *Raises hand* I’ve been there done that..still doing it! It’s incredibly frustrating, especially when you’re smart enough to know there’s a better way that you either don’t know about or aren’t implementing correctly. 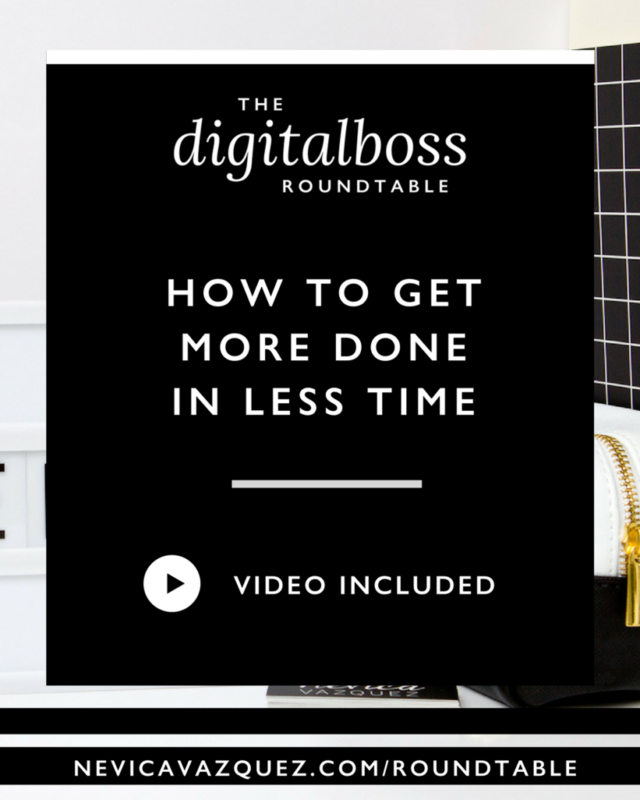 If like me, you’re ready to start working more efficiently and productively, then this episode is for you! I’ll be joining two productivity experts, Alexandra Beauregard and Kathryn Brown to talk about their exact processes and tactics for setting your mindset and workday up to get more done in less time! Is it ever possible to feel satisfied with the amount of work you get done in a day? You can absolutely feel like you have been productive at the end of the day. The biggest tip I would give is to not overwhelm your to do list. When you overwhelm your list, you overwhelm yourself. I like to stick to three main tasks for the day – it’s not too many and it’s not too few. It’s the perfect amount to make sure you check all three things off your list every day. You can always add more if you are on a roll but it is so much more difficult to look at your to do list that has not been finished at the end of the day. When we make our plans, we always plan for the 100% version of ourselves where nothing goes wrong, we don’t get sick, we don’t have to cancel anything – things just run smoothly. And when that happens we set ourselves up for disappointment and frustration because it’s very rare when we are at the 100% mark. I like to think about the bare minimum I would like to get done by the end of the day so it feels like I am moving things forward. How do you pick and prioritize what needs to get done? It’s not just about picking the right things, but also picking things that are small enough for completion. As entrepreneurs we always want to keep pushing ourselves for more. That means that the top 3 things in our to do list end up being so enormous that we are still ultimately setting ourselves up for failure. When it comes to choosing the things to do, you need to check in with yourself first thing in the morning. Do you feel like completing big tasks on that particular day or should you stick with small wins? We have to be in tune with how we’re feeling and what the day looks like. It’s not a procrastination technique but more taking stock of where we are and being honest with ourselves. The main thing to recognize is the difference between a project and a task. So many entrepreneurs put projects on their daily to do lists. You have got to break the projects down into manageable tasks and take it one piece at a time. Take each step of the project, set a deadline and put it in your calendar. If your tasks are not written down, they’re not getting done. How do you set yourself up for the mindset of the natural productivity flow? For me it’s all about having a plan. To do that, I like to create my to do list the night before. Too often, people spend valuable time in the morning trying to figure out what to do and where to start. I end every working day with a planner next to me, looking at the calendar and setting my to do list up for the following day. Planning is definitely a big component of it but it’s even more than that. It’s designing the space you work in with intention. What does the space need to look like for you? Does your desk area need to be clean? Is the stack of papers on your desk distracting you? Are you giving yourself the opportunity to do the best work you can? Set up a routine for yourself, clean your desk at the end of the day, ready for a new day first thing in the morning. Then you’ll have everything you need ready to have the best possible start to your day. 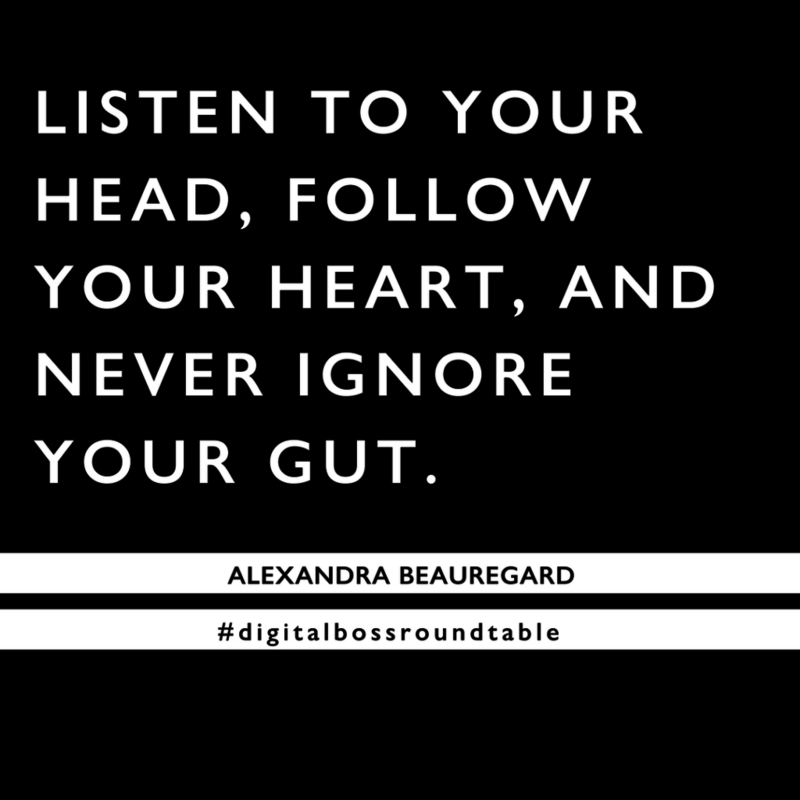 Alexandra: Listen to your head, follow your heart, and never ignore your gut. 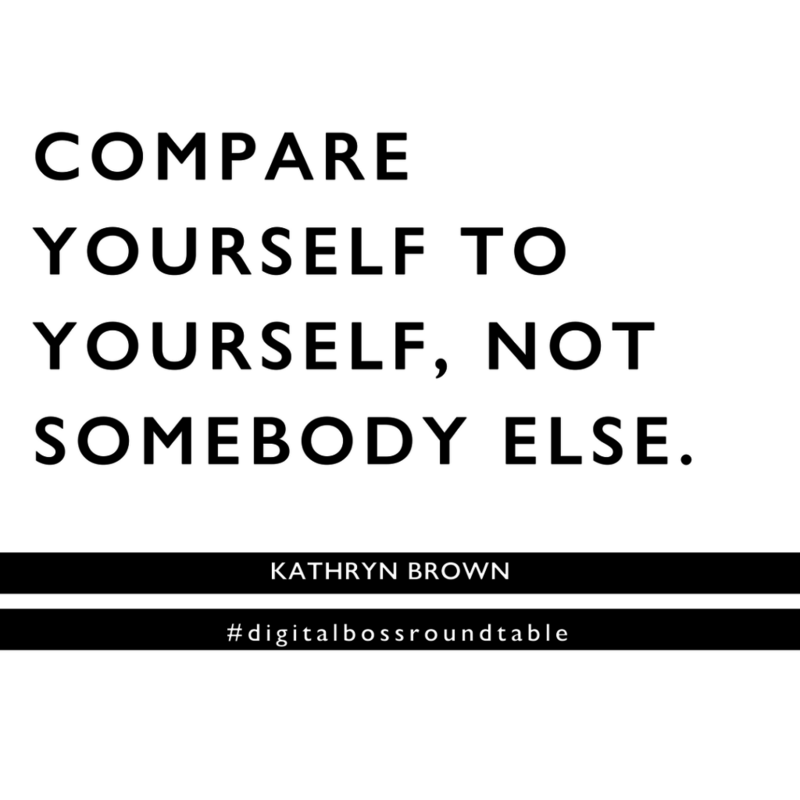 Kathryn: Compare yourself to yourself, not somebody else. Alexandra is an organization obsessed, productivity specialist helping female entrepreneurs make their passion productive. She’s a lover of lipstick, lattes, and laptops (the pink, vanilla, and Apple kind respectively). Most days, you can find her seated at her desk with her planner open to her left, a cute (never boring) mug of coffee to her right, and two cats (George and Gracie) fighting for space in her lap. She’s obsessed with office supplies, empty inboxes, and checking things off her to-do list. Kathryn Brown is a productivity coach and systems strategist. She helps small business owners leverage their time and expertise, and streamline and scale with systems so they can work less and live more. Before creating her own business in 2014, she provided management-level training and served on the leadership team responsible for ISO certification for a tech company. She was school improvement co-chair for compliance and certification as a professional development and technology coordinator for a local school. Today, Kathryn offers workflow and systems design, goal setting and achievement strategies, and work life balance integration to the small business owner.